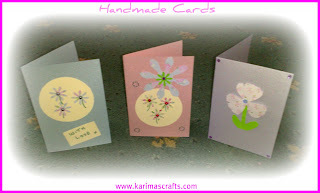 Above is a photograph of some of the cards that my two girls have made today. Today as usual, I went to my friday Coffee Morning. With it being the school holidays, my children were tagging along with me. The ladies decided that today they would be making some handmade cards. My daughters both decided that they should join in with everyone. Anything that involves using glue and cutting, they won’t miss! I normally design my own cards on the computer and print them out. I don't normally do it this way, so it was a nice change to watch how it is done. 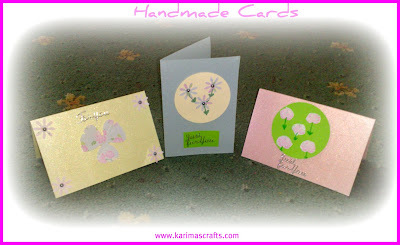 Marjorie, one of the ladies who attends the coffee mornings, provided all the card making equipment, which included the cards, envelopes and shape punches. Both of my daughters had a go at making the cards. I had to help a little with my 3 year old, but my 8 year old did all of the cards all by herself. I never got a chance to personally make any cards, as I was making sure that my youngest was not getting glue everywhere or messing about with the scissors! Now my eldest daughter has a few cards ready for the next birthday or special occasion. I was quite surprised at how good my youngest was at attempting this task. The only thing I did for her, was write the words 'with love' on the card. Her card is the one on the left, on the photo below. 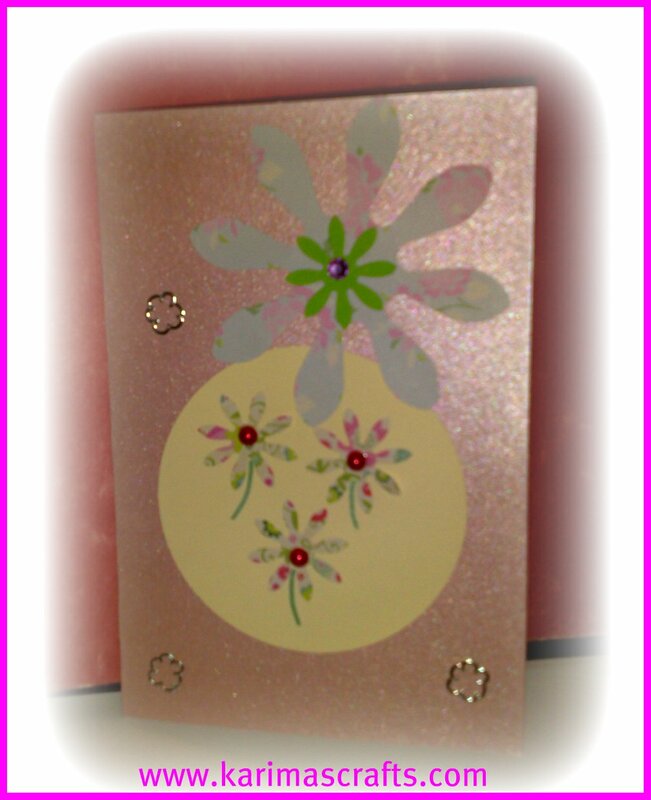 All the other cards were made by my eldest daughter. The photo opposite is a close up of one of the cards shown below.